Peter Farrelly’s “Green Book” has been named the best film of 2018 by the members of the National Board of Review, which announced its annual awards on Tuesday. The honor puts the Universal film starring Viggo Mortensen and Mahershala Ali in good position entering a time of year when numerous critics’ groups will be announcing their picks for the year’s best in the coming weeks, though the NBR itself does not consist of critics. Yorgos Lanthimos’ twisted period piece “The Favourite” was conspicuously missing from the list, as were Spike Lee’s “BlacKkKlansman,” Damien Chazelle’s “First Man,” Steve McQueen’s “Widows” and Adam McKay’s “Vice.” All of those films are considered Oscar candidates, the NBR notwithstanding. 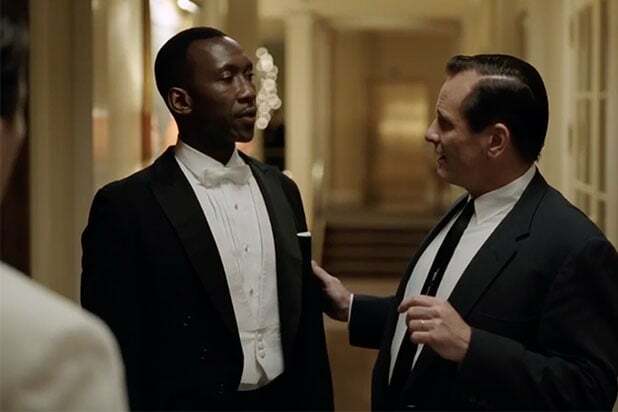 Mortensen won the best-actor award for “Green Book,” while Lady Gaga was named best actress for “A Star Is Born.” Bradley Cooper also took best-director honors for that film. “Cold War” was named best foreign language film, “RBG” best documentary and “Incredibles 2” best animated feature. Since the Academy expanded its Best Picture category in 2009, a little less than two-thirds of the Oscar nominees were first included on the NBR list, with an average of about three films a year being honored by the Academy after being bypassed by the NBR. In the last decade, the NBR and the Academy have only agreed on the year’s best picture twice, with “No Country for Old Men” in 2007 and “Slumdog Millionaire” in 2008. But only one NBR winner in the last 17 years, 2014’s “A Most Violent Year,” failed to land an Oscar nomination for Best Picture. The group was established in 1909 by theater owners protesting the New York mayor’s attempt to block the exhibition of motion pictures in the city. It has been picking the best films since 1930.